I have put at least 14 total minutes into deciding whether or not I want to be a cool parent or not. I mean, I would want my dependents to like me, but at the same time, I don't want to be like this 37-year-old Idaho lady who gave a bunch of alcohol to minors and kept the party going after a 14-year-old girl passed out from alcohol poisoning. Jennifer A. Phippen has been charged with two counts of felony injury to child after providing the alcohol for quite the rager last month: a teenage boy's birthday party. 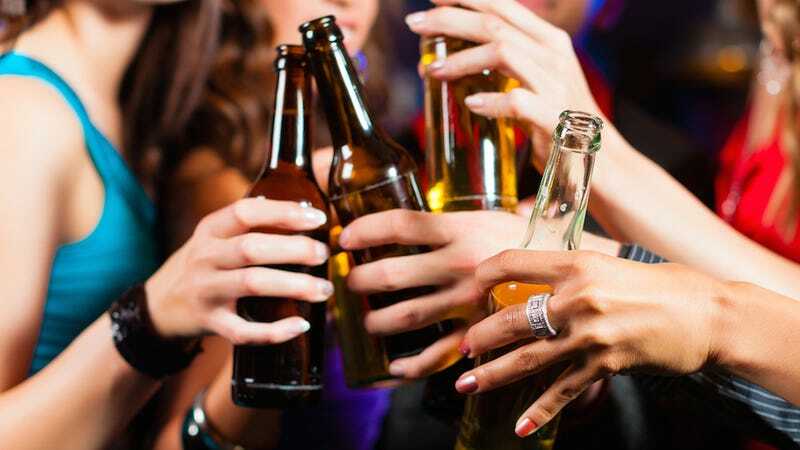 A 14-year-old girl had consumed several shots of alcohol, had vomited, and lost consciousness—not one to be a total nark, the adult woman took matters into her own hands. Instead of calling the girl's parents or, you know, seeking proper medical treatment in the life-threatening situation, Phippen administered an IV to the girl herself, "about 400-to-500 ccd of fluid." Phippen also put the girl in the shower to wake her up. The girl regained consciousness in the morning and was able to WALK HOME. WHAT. A warrant was issued for Phippen's arrest, and she was promptly taken into custody because, duh. She faces up to 10 years in prison. Just for trynna play it cool.